The human spirit in its inmost nature is not something so divided up that two contradictory elements might subsist together in it. If discord has arisen between intellectual insight and religion, and is not overcome in knowledge, it leads to despair. Georg Wilhelm Friedrich Hegel (27 August 1770 – 14 November 1831) was a German philosopher, well known in both Analytic and Continental Philosophy. The great thing however is, in the show of the temporal and the transient to recognize the substance which is immanent and the eternal which is present. For the work of Reason (which is synonymous with the Idea) when considered in its own actuality, is to simultaneously enter external existence and emerge with an infinite wealth of forms, phenomena and phases — a multiplicity that envelops its essential rational kernel with a motley outer rind with which our ordinary consciousness is earliest at home. It is this rind that the Concept must penetrate before Reason can find its own inward pulse and feel it still beating even in the outward phases. But this infinite variety of circumstances which is formed in this element of externality by the light of the rational essence shining in it — all this infinite material, with its regulatory laws — is not the object of philosophy....To comprehend what is, is the task of philosophy: and what is is Reason. Reading the morning newspaper is the realist's morning prayer. One orients one's attitude toward the world either by God or by what the world is. The former gives as much security as the latter, in that one knows how one stands. Miscellaneous writings of G.W.F. Hegel, translation by Jon Bartley Stewart, Northwestern University Press, 2002, page 247. In Mohammedanism the narrow principle of the Jews is expanded into universality and thereby overcome. Here, God is no longer, as in the Far East, regarded as existent in an immediately sensory way but is conceived as the one infinite power elevated above all the multiplicity of the world. Mohammedanism is, therefore, in the strictest sense of the word, the religion of sublimity. Hegel, Philosophy of Mind (quoted by W. Wallace & A. V. Miller in Philosophy of Mind, Oxford 2010; also quoted in other words by Slavoj Žižek in A Glance into the Archives of Islam, Lacan dot com, 1997). Philosophy is by its nature something esoteric, neither made for the mob nor capable of being prepared for the mob. Philosophy must indeed recognize the possibility that the people rise to it, but must not lower itself to the people. There are Plebes in all classes. What Jesus reveals is not that laws disappear but that they must be kept through righteousness of a new kind, … which is more complete because it supplements the deficiency in the laws. … This expanded content we may call an inclination so to act as the laws may command, i.e., a unification of inclination with the law whereby the latter loses its form as law. Between the Shaman of the Tungus, the European prelate who rules church and state, the Voguls, and the Puritans, on the one hand, and the man who listens to his own command of duty, on the other, the difference is not that the former make themselves slaves, while the latter is free, but that the former have their lord outside themselves, while the latter carries his lord in himself, yet at the same time is his own slave. What Jesus reveals is not that laws disappear but that they must be kept through righteousness of a new kind, … which is more complete because it supplements the deficiency in the laws. … This expanded content we may call an inclination so to act as the laws may command, i.e., a unification of inclination with the law whereby the latter loses its form as law. This correspondence with inclination is the πληρωμα [fulfillment] of the law. The inclination to act as the laws command, a virtue, is a synthesis in which the law … loses its universality and the subject its particularity; both lose their opposition, while in the Kantian conception of virtue this opposition remains, and the universal becomes the master and the particular the mastered. In the “fulfillment” of both the laws and duty, … the moral disposition ceases to be the universal, opposed to inclination, and inclination ceases to be particular, opposed to the law. A command can express no more than an ought or a shall, because it is a universal, but it does not express an ‘is’; and this at once makes plain its deficiency. Against such commands Jesus sets virtue, i.e., a loving disposition, which makes the content of the command superfluous and destroys its form as a command, because that form implies an opposition between a commander and something resisting the command. History, is a conscious, self-meditating process — Spirit emptied out into Time. Opinion considers the opposition of what is true and false quite rigid, and, confronted with a philosophical system, it expects agreement or contradiction. And in an explanation of such a system, opinion still expects to find one or the other. The life of God — the life which the mind apprehends and enjoys as it rises to the absolute unity of all things — may be described as a play of love with itself; but this idea sinks to an edifying truism, or even to a platitude, when it does not embrace in it the earnestness, the pain, the patience, and labor, involved in the negative aspect of things. The goal to be reached is the mind’s insight into what knowing is. Impatience asks for the impossible, wants to reach the goal without the means of getting there. The length of the journey has to be borne with, for every moment is necessary, ... because by nothing less could that all-pervading mind ever manage to become conscious of what itself is — for that reason, the individual mind, in the nature of the case, cannot expect by less toil to grasp what its own substance contains. Discord which appears at first to be a lamentable breach and dissolution of the unity of a party, is really the crowning proof of its success. History, is a conscious, self-meditating process — Spirit emptied out into Time; but this externalization, this kenosis, is equally an externalization of itself; the negative is the negative of itself. ... Thus absorbed in itself, it is sunk in the night of its self-consciousness; but in that night its vanished outer existence is perserved, and this transformed existence — the former one, but now reborn of the Spirit's knowledge — is the new existence, a new world and a new shape of Spirit. In immediate self-consciousness the simple ego is absolute object, which, however, is for us or in itself absolute mediation, and has as its essential moment substantial and solid independence. The dissolution of that simple unity is the result of the first experience; through this there is posited a pure self-consciousness, and a consciousness which is not purely for itself, but for another, i.e. as an existent consciousness, consciousness in the form and shape of thinghood. Both moments are essential, since, in the first instance, they are unlike and opposed, and their reflexion into unity has not yet come to light, they stand as two opposed forms or modes of consciousness. The one is independent whose essential nature is to be for itself, the other is dependent whose essence is life or existence for another. The former is the Master, or Lord, the latter is the Bondsman. The owl of Minerva first begins her flight with the onset of dusk. Variant translation: What is rational is real; And what is real is rational. Upon this conviction stand not philosophy only but even every unsophisticated consciousness. From it also proceeds the view now under contemplation that the spiritual universe is the natural. When reflection, feeling, or whatever other form the subjective consciousness may assume, regards the present as vanity, and thinks itself to be beyond it and wiser, it finds itself in emptiness, and, as it has actuality only in the present, it is vanity throughout. Against the doctrine that the idea is a mere idea, figment or opinion, philosophy preserves the more profound view that nothing is real except the idea. Hence arises the effort to recognize in the temporal and transient the substance, which is immanent, and the eternal, which is present. The rational is synonymous with the idea, because in realizing itself it passes into external existence. It thus appears in an endless wealth of forms, figures and phenomena. It wraps its kernel' round with a robe of many colors, in which consciousness finds itself at home. Through this varied husk the conception first of all penetrates, in order to touch the pulse, and then feel it throbbing in its external manifestations. To bring to order the endlessly varied relations, which constitute the outer appearance of the rational essence is not the task of philosophy. "Any idea is a generalization, and generalization is a property of thinking. To generalize something means to think it." Only one word more concerning the desire to teach the world what it ought to be. For such a purpose philosophy at least always comes too late. Philosophy, as the thought of the world, does not appear until reality has completed its formative process, and made itself ready. History thus corroborates the teaching of the conception that only in the maturity of reality does the ideal appear as counterpart to the real, apprehends the real world in its substance, and shapes it into an intellectual kingdom. When philosophy paints its grey in grey, one form of life has become old, and by means of grey it cannot be rejuvenated, but only known. The owl of Minerva takes its flight only when the shades of night are gathering. Variant: When philosophy paints its grey on grey, then has a shape of life grown old. By philosophy's grey on grey it cannot be rejuvenated but only understood. The owl of Minerva spreads its wings only with the falling of the dusk. The person must give himself an external sphere of freedom in order to have being as Idea. The external embodiment of an act is composed of many parts, and may be regarded as capable of being divided into an infinite number of particulars. An act may be looked on as in the first instance coming into contact with only one of these particulars. But the truth of the particular is the universal. A definite act is not confined in its content to one isolated point of the varied external world, but is universal, including these varied relations within itself. The purpose, which is the product of thought and embraces not the particular only but also the universal side, is intention. The good is the idea, or unity of the conception of the will with the particular will. Abstract right, well-being, the subjectivity of consciousness, and the contingency of external reality, are in their independent and separate existences superseded in this unity, although in their real essence they are contained in it and preserved. This unity is realized freedom, the absolute final cause of the world. Addition.—Every stage is properly the idea, but the earlier steps contain the idea only in more abstract form. The I, as person, is already the idea, although in its most abstract guise. The good is the idea more completely determined; it is the unity of the conception of will with the particular will. It is not something abstractly right, but has a real content, whose substance constitutes both right and well-being. So ist vielmehr der Fall, daß das Volk, insosern mit diesem Worte ein besonderer Theil der Mitglieder eines Staats bezeichnet ist, den Theil ausdrückt, der nicht weiß was er will. Translation: But it is rather true that the people, in so far as this term signifies a special part of the citizens, does not know what it wants. We must first of all, however, definitely understand, in reference to the end we have in view, that it is not the concern of philosophy to produce religion in any individual. Its existence is, on the contrary, presupposed as forming what is fundamental in every one. So far as man's essential nature is concerned, nothing new is to be introduced into him. To try to do this would be as absurd as to give a dog printed writings to chew, under the idea that in this way you could put mind into it. It may happen that religion is awakened in the heart by means of philosophical knowledge, but it is not necessarily so. It is not the purpose of philosophy to edify, and quite as little is it necessary for it to make good its claims by showing in any particular case that it must produce religious feelings in the individual. The beginning of religion, more precisely its content, is the concept of religion itself, that God is the absolute truth, the truth of all things, and subjectively that religion alone is the absolutely true knowledge. The Church has consistently and justly refused to allow that reason might stand in opposition to faith, and yet be placed under subjection to it. The human spirit in its inmost nature is not something so divided up that two contradictory elements might subsist together in it. If discord has arisen between intellectual insight and religion, and is not overcome in knowledge, it leads to despair, which comes in the place of reconciliation. This despair is reconciliation carried out in a one-sided manner. The one side is cast away, the other alone held fast; but a man cannot win true peace in this way. The one alternative is, for the divided spirit to reject the demands of the intellect and try to return to simple religious feeling. To this, however, the spirit can only attain by doing violence to itself, for the independence of consciousness demands satisfaction, and will not be thrust aside by force; and to renounce independent thought, is not within the power of the healthy mind. Religious feeling becomes yearning hypocrisy, and retains the moment of non-satisfaction. The other alternative is a one-sided attitude of indifference toward religion, which is either left unquestioned and let alone, or is ultimately attacked and opposed. That is the course followed by shallow spirits. Spirit is knowledge; but in order that knowledge should exist, it is necessary that the content of that which it knows should have attained to this ideal form, and should in this way have been negated. What Spirit is must in that way have become its own, it must have described this circle; then these forms, differences, determinations finite qualities, must have existed in order that it should make them its own. This represents both the way and the goal-that Spirit should have attained to its own notion or conception, to that which it implicitly is, and in this way only, the way which has been indicated in its abstract moments, does it attain it. Revealed religion is manifested religion, because in it God has become wholly manifest. Here all is proportionate to the notion; there is no longer anything secret in God. These are the Galla and Gaga tribes, which, as the most savage and most barbarous of conquerors, have repeatedly descended upon the coasts since the year 1542, pouring forth from the interior and inundating the whole country. These look upon man in the strength of his consciousness as too exalted to be capable of being killed by anything so obscure as the power of nature. What therefore takes place is, that sick people, in whose case magic has proved ineffectual, are put to death by their friends. In the same way the wild tribes of North America too killed their aged who had reached decrepitude, the meaning of which is unmistakable, namely, that man is not to perish by means of nature, but is to have due honour rendered to him at human hands. There is another people again who have the belief that everything would go to ruin if their high-priest were to die a natural death. He is therefore executed as soon as ever he becomes ill and weak; if a high-priest should notwithstanding die of some disease, they believe that some other person killed him by means of magic, and the magicians have to ascertain who the murderer was, when he is at once made away with. On the death of a king in particular, many persons are killed: according to a missionary of older days, it is the devil of the king who is slain. Such, then, is the very first form of religion, which cannot indeed as yet be properly called religion. An Englishman who, by a most careful investigation into the various representations, has sought to discover what is meant by Brahma, believes that Brahma is an epithet of praise, and is used as such just because he is not looked on as being himself solely this One, but, on the contrary, everything says of itself that it is Brahma. I refer to what Mill says in his History of India. He proves from many Indian writings that it is an epithet of praise which is applied to various deities, and does not represent the conception of perfection or unity which we associate with it. This is a mistake, for Brahma is in one aspect the One, the Immutable, who has, however, the element of change in him, and because of this, the rich variety of forms which is thus essentially his own is also predicated of him. Vishnu is also called the Supreme Brahma. Water and the sun are Brahma. That man should think of God as nothingness must at first sight seem astonishing, must appear to us a most peculiar idea. But, considered more closely, this determination means that God is absolutely nothing determined. He is the Undetermined; no determinateness of any kind pertains to God; He is the Infinite. This is equivalent to saying that God is the negation of all particularity. Among the Romans in Christian times Mithras-worship as very widely spread, and so late as the Middle Ages we meet with a secret Mithras-worship ostensibly connected with the order of the Knights-Templars. Mithras thrusting the knife into the neck of the ox is a figurative representation belonging essentially to the cult of Mithras, of which examples have been frequently found in Europe. In the religion of absolute Spirit the outward form of God is not made by the human spirit. God Himself is, in accordance with the true Idea, self-consciousness which exists in and for itself, Spirit. He produces Himself of His own act, appears as Being for “Other”; He is, by His own act, the Son; in the assumption of a definite form as the Son, the other part of the process is present, namely, that God loves the Son, posits Himself as identical with Him, yet also as distinct from Him. The assumption of form makes its appearance in the aspect of determinate Being as independent totality, but as a totality which is retained within love; here, for the first time, we have Spirit in and for itself. The self-consciousness of the Son regarding Himself is at the same time His knowledge of the Father; in the Father the Son has knowledge of His own self, of Himself. At our present stage, on the contrary, the determinate existence of God as God is not existence posited by Himself, but by what is Other. Here Spirit has stopped short half way. In the first element God is beyond time, as the eternal Idea, existing in the element of eternity in so far as eternity is contrasted with time. Thus time in this complete and independent form, time in-and-for-self, unfolds itself and breaks up into past, present, and future. Thus the divine history in its second stage as appearance is regarded as the past, it is, it has Being, but it is Being which is degraded to a mere semblance. In taking on the form of appearance it is immediate existence, which is at the same time negated, and this is the past. The divine history is thus regarded as something past, as representing the Historical properly so called. The third element is the present, yet it is only the limited present, not the eternal present, but rather the present which distinguishes itself from the past and future, and represents the element of feeling, of the immediate subjectivity of spiritual Being which is now. Variant translation: What experience and history teach is this — that people and governments never have learned anything from history, or acted on principles deduced from it. Pragmatical (didactic) reflections, though in their nature decidedly abstract, are truly and indefeasibly of the Present, and quicken the annals of the dead Past with the life of to-day. Whether, indeed, such reflections are truly interesting and enlivening, depends on the writer's own spirit. Moral reflections must here be specially noticed, the moral teaching expected from history; which latter has not unfrequently been treated with a direct view to the former. It may be allowed that examples of virtue elevate the soul, and are applicable in the moral instruction of children for impressing excellence upon their minds. But the destinies of peoples and states, their interests, relations, and the complicated tissue of their affairs, present quite another field. Rulers, Statesmen, Nations, are wont to be emphatically commended to the teaching which experience offers in history. But what experience and history teach is this, that peoples and governments never have learned anything from history, or acted on principles deduced from it. Each period is involved in such peculiar circumstances, exhibits a condition of things so strictly idiosyncratic, that its conduct must be regulated by considerations connected with itself, and itself alone. Amid the pressure of great events, a general principle gives no help. It is useless to revert to similar circumstances in the Past. The pallid shades of memory struggle in vain with the life and freedom of the Present. History is not the soil of happiness. The periods of happiness are blank pages in it. Variant, as translated by H. B. Nisbet (1975): History is not the soil in which happiness grows. The periods of happiness in it are the blank pages of history. The enquiry into the essential destiny of Reason as far as it is considered in reference to the World is identical with the question, what is the ultimate design of the World? And the expression implies that that design is destined to be realised! Two points of consideration suggest themselves: first, the import of this design its abstract definition; and secondly, its realization. It must be observed at the outset, that the phenomenon we investigate Universal History belongs to the realm of Spirit. The term “World" includes both physical and psychical Nature. Physical Nature also plays its part in the World's History, and attention will have to be paid to the fundamental natural relations thus involved. But Spirit, and the course of its development, is our substantial object. Our task does not require us to contemplate Nature as a Rational System in itself though in its own proper domain it proves itself such but simply in its relation to Spirit. On the stage on which we are observing it, Universal History Spirit displays itself in its most concrete reality. Notwithstanding this (or rather for the very purpose of comprehending the general principles which this, its form of concrete reality, embodies) we must premise some abstract characteristics of the nature of Spirit. Such an explanation, however, cannot be given here under any other form than that of bare assertion. The present is not the occasion for unfolding the idea of Spirit speculatively ; for whatever has a place in an Introduction, must, as already observed, be taken as simply historical ; something assumed as having been explained and proved elsewhere; or whose demonstration awaits the sequel of the Science of History itself. The nature of Spirit may be understood by a glance at its direct opposite Matter. As the essence of Matter is Gravity, so, on the other hand, we may affirm that the substance, the essence of Spirit is Freedom. All will readily assent to the doctrine that Spirit, among other properties, is also endowed with Freedom; but philosophy teaches that all the qualities of Spirit exist only through Freedom ; that all are but means for attaining Freedom ; that all seek and produce this and this alone. It is a result of speculative Philosophy, that Freedom is the sole truth of Spirit. Matter possesses gravity in virtue of its tendency towards a central point. It is essentially composite; consisting of parts that exclude each other. It seeks its Unity; and therefore exhibits itself as self- destructive, as verging towards its opposite [an indivisible point]. If it could attain this, it would be Matter no longer, it would have perished. It strives after the realization of its Idea; for in Unity it exists ideally. Spirit, on the contrary, may be defined as that which has its center in itself. It has not a unity outside itself, but has already found it; it exists in and with itself. Matter has its essence out of itself; Spirit is self-contained existence (Bei-sich-selbst-seyn). Now this is Freedom, exactly. For if I am dependent, my being is referred to something else which I am not; I cannot exist independently of something external. I am free, on the contrary, when my existence depends upon myself. This self-contained existence of Spirit is none other than self-consciousness consciousness of one's own being. Two things must be distinguished in consciousness; first, the fact that I know; secondly, what I know. In self-consciousness these are merged in one; for Spirit knows itself. It involves an appreciation of its own nature, as also an energy enabling it to realise itself; to make itself actually that which it is potentially. Although Freedom is, primarily, an undeveloped idea, the means it uses are external and phenomenal; presenting themselves in History to our sensuous vision. The first glance at History convinces us that the actions of men proceed from their needs, their passions, their characters and talents; and impresses us with the belief that such needs, passions and interests are the sole springs of action — the efficient agents in this scene of activity. Among these may, perhaps, be found aims of a liberal or universal kind — benevolence it may be, or noble patriotism; but such virtues and general views are but insignificant as compared with the World and its doings. We may perhaps see the Ideal of Reason actualized in those who adopt such aims, and within the sphere of their influence; but they bear only a trifling proportion to the mass of the human race; and the extent of that influence is limited accordingly. Passions, private aims, and the satisfaction of selfish desires, are on the other hand, most effective springs of action. Their power lies in the fact that they respect none of the limitations which justice and morality would impose on them; and that these natural impulses have a more direct influence over man than the artificial and tedious discipline that tends to order and self-restraint, law and morality. When we look at this display of passions, and the consequences of their violence; the Unreason which is associated not ,only with them, but even (rather we might say especially) with good designs and righteous aims; when we see the evil, the vice, the ruin that has befallen the most flourishing kingdoms which the mind of man ever created, we can scarce avoid being filled with sorrow at this universal taint of corruption: and, since this decay is not the work of mere Nature, but of the Human Will — a moral embitterment — a revolt of the Good Spirit (if it have a place within us) may well be the result of our reflections. Without rhetorical exaggeration, a simply truthful combination of the miseries that have overwhelmed the noblest of nations and polities, and the finest exemplars of private virtue, forms a picture of most fearful aspect, and excites emotions of the profoundest and most hopeless sadness, counterbalanced by no consolatory result. We endure in beholding it a mental torture, allowing no defence or escape but the consideration that what has happened could not be otherwise ; that it is a fatality which no intervention could alter. And at last we draw back from the intolerable disgust with which these sorrowful reflections threaten us, into the more agreeable environment of our individual life the Present formed by our private aims and interests. In short we retreat into the selfishness that stands on the quiet shore, and thence enjoys in safety the distant spectacle of "wrecks confusedly hurled." But even regarding History as the slaughter-bench at which the happiness of peoples, the wisdom of States, and the virtue of individuals have been victimised the question involuntarily arises to what principle, to what final aim these.enormous sacrifices have been offered. Universal History exhibits the gradation in the development of that principle whose substantial purport is the consciousness of Freedom. The analysis of the successive grades, in their abstract form, belongs to Logic; in their concrete aspect to the Philosophy of Spirit. Here it is sufficient to state that the first step in the process presents that immersion of Spirit in Nature which has been already referred to ; the second shows it as advancing to the consciousness of its freedom. But this initial separation from Nature is imperfect and partial, since it is derived immediately from the merely natural state, is consequently related to it, and is still encumbered with it as an essentially connected element. The third step is the elevation of the soul from this still limited and special form of freedom to its pure universal form ; that state in which the spiritual essence attains the consciousness and feeling of itself. These grades are the ground-principles of the general process; but how each of them on the other hand involves within itself a process of formation, constituting the links in a dialectic of transition, to particularise this must be preserved for the sequel. Here we have only to indicate that Spirit begins with a germ of infinite possibility, but only possibility, containing its substantial existence in an undeveloped form, as the object and goal which it reaches only in its resultant full reality. In actual existence Progress appears as an advancing from the imperfect to the more perfect; but the former must not be understood abstractly as only the imperfect, but as something which involves the very opposite of itself the so-called perfect as a germ or impulse. So reflectively, at least possibility points to something destined to become actual; the Aristotelian δύναμιςis also potentia, power and might. Thus the Imperfect, as involving its opposite, is a contradiction, which certainly exists, but which is continually annulled and solved; the instinctive movement the inherent impulse in the life of the soul to break through the rind of mere nature, sensuousness, and that which is alien to it, and to attain to the light of consciousness, i. e. to itself. The Democratical State is not Patriarchal, does not rest on a still unreflecting, undeveloped confidence, but implies laws, with the consciousness of their being founded on an equitable and moral basis, and the recognition of these laws as positive. At the time of the Kings, no political life had as yet made its appearance in Hellas; there are, therefore, only slight traces of Legislation. But in the interval from the Trojan War till near the time of Cyrus, its necessity was felt. The first Lawgivers are known under the name of The Seven Sages, a title which at that time did not imply any such character as that of the Sophists teachers of wisdom, designedly [and systematically] proclaiming the Bight and True but merely thinking men, whose thinking stopped short of Science, properly so called. They were practical politicians; the good counsels which two of them Thales of Miletus and Bias of Priene gave to the Ionian cities, have been already mentioned. Thus Solon was commissioned by the Athenians to give them laws, as those then in operation no longer sufficed. Solon gave the Athenians a constitution by which all obtained equal rights, yet not so as to render the Democracy a quite abstract one. The main point in Democracy is moral disposition. Virtue is the basis of Democracy, remarks Montesquieu; and this sentiment is as important as it is true in reference to the idea of Democracy commonly entertained. The Substance, [the Principle] of Justice, the common weal, the general interest, is the main consideration; but it is so only as Custom, in the form of Objective Will, so that morality properly so called subjective conviction and intention has not yet manifested itself. Law exists, and is in point of substance, the Law of Freedom, rational [in its form and purport,] and valid because it is Law, i.e. without ulterior sanction. As in Beauty the Natural element its sensuous coefficient remains, so also in this customary morality, laws assume the form of a necessity of Nature. It is a matter of perfect indifference where a thing originated; the only question is: "Is it true in and for itself?" Many think that by pronouncing a doctrine to be Neo-Platonic, they have ipso facto banished it from Christianity. Whether a Christian doctrine stands exactly thus or thus in the Bible, the point to which the exegetical scholars of modern times devote all their attention is not the only question. The Letter kills, the Spirit makes alive: this they say themselves, yet pervert the sentiment by taking the Understanding for the Spirit. In history, we are concerned with what has been and what is; in philosophy, however, we are concerned not with what belongs exclusively to the past or to the future, but with that which is, both now and eternally — in short, with reason. On the stage on which we are observing it, — Universal History — Spirit displays itself in its most concrete reality. The destiny of the spiritual World, and, — since this is the substantial World, while the physical remains subordinate to it, or, in the language of speculation, has no truth as against the spiritual, — the final cause of the World at large, we allege to be the consciousness of its own freedom on the part of Spirit, and ipso facto, the reality of that freedom. The first remark we have to make, and which — though already presented more than once — cannot be too often repeated when the occasion seems to call for it, — is that what we call principle, aim, destiny, or the nature and idea of Spirit, is something merely general and abstract. Principle — Plan of Existence — Law — is a hidden, undeveloped essence, which as such — however true in itself — is not completely real. Aims, principles, &c., have a place in our thoughts, in our subjective design only; but not yet in the sphere of reality. That which exists for itself only, is a possibility, a potentiality; but has not yet emerged into Existence. A second element must be introduced in order to produce actuality — viz. actuation, realization; and whose motive power is the Will — the activity of man in the widest sense. We assert then that nothing has been accomplished without interest on the part of the actors; and — if interest be called passion, inasmuch as the whole individuality, to the neglect of all other actual or possible interests and claims, is devoted to an object with every fibre of volition, concentrating all its desires and powers upon it — we may affirm absolutely that nothing great in the World has been accomplished without passion. Often abbreviated to: Nothing great in the World has been accomplished without passion. The great empire of the Caliphs did not last long: for on the basis presented by Universality nothing is firm. The great Arabian empire fell about the same time as that of the Franks: thrones were demolished by slaves and by fresh invading hordes the Seljuks and Mongols and new kingdoms founded, new dynasties raised to the throne. The Osman race at last succeeded in establishing a firm dominion, by forming for themselves a firm center in the Janizaries. Fanaticism having cooled down, no moral principle remained in men's souls. In the struggle with the Saracens, European valour had idealized itself to a fair and noble chivalry. 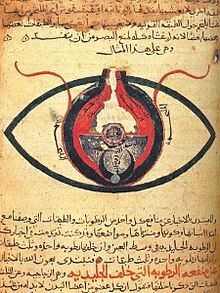 Science and knowledge, especially that of philosophy, came from the Arabs into the West. A noble poetry and free imagination was kindled among the Germans by the East a fact which directed Goethe's attention to the Orient and occasioned the composition of a string of lyric pearls, in his "Divan," which in warmth and felicity of fancy cannot be surpassed. Aristotle (De Anima, I. 1) makes in the first place the general remark that it appears as if the soul must, on the one hand, be regarded in its freedom as independent and as separable from the body, since in thinking it is independent; and, on the other hand, since in the emotions it appears to be united with the body and not separate, it must also be looked on as being inseparable from it; for the emotions show themselves as materialized Notions (λόγοι έννοια), as material modes of what is spiritual. With this a twofold method of considering the soul, also known to Aristotle, comes into play, namely the purely rational or logical view, on the one hand, and, on the other hand, the physical or physiological; these we still see practiced side by side. According to the one view, anger, for instance, is looked on as an eager desire for retaliation or the like; according to the other view it is the surging upward of the heartblood and the warm element in man. The former is the rational, the latter the material view of anger; just as one man may define a house as a shelter against wind, rain, and other destructive agencies, while another defines it as consisting of wood and stone; that is to say, the former gives the determination and the form, or the purpose of the thing, while the latter specifies the material it is made of, and its necessary conditions. That condition which man terms the life of man in unity with nature, and in which man meets with God in nature because he finds his satisfaction there, has ceased to exist. The unity of man with the world is for this end broken, that it may be restored in a higher unity, that the world, as an intelligible world, may be received into God. The relation of man to God thereby reveals itself in the way provided for our salvation in worship, but more particularly it likewise shows itself in Philosophy; and that with the express consciousness of the aim that the individual should render himself capable of belonging to this intelligible world. The manner in which man represents to himself his relation to God is more particularly determined by the manner in which man represents to himself God. What is now often said, that man need not know God, and may yet have the knowledge of this relation, is false. Since God is the First, He determines the relation, and therefore in order to know what is the truth of the relation, man must know God. Since therefore thought goes so far as to deny the natural, what we are now concerned with is not to seek truth in any existing mode, but from our inner Being to go forth again to a true objective, which derives its determination from the intrinsic nature of thought. Very similar were the views expressed by Raymundus of Sabunde or Sabeyde, a Spaniard of the fifteenth century, and professor at Toulouse about the year 1437. In his theologia natural is, which he handled in a speculative spirit, he dealt with the Nature of things, and with the revelation of God in Nature and in the history of the God-man. He sought to prove to unbelievers the Being, the trinity, the incarnation, the life, and the revelation of God in Nature, and in the history of the God-man, basing his arguments on Reason. From the contemplation of Nature he rises to God; and in the same way he reaches morality from; observation of man's inner nature. This purer and simpler style must be set off against the other, if we are to do justice to the Scholastic theologians in their turn. This is Bruno's fundamental idea. He says: ”To recognize this unity of form and matter in all things, is what reason is striving to attain to. But in order to penetrate to this unity, in order to investigate all the secrets of Nature, we must search into the opposed and contradictory extremes of things, the maximum and the minimum” It is in these very extremes that they are intelligible, and become united in the Notion; and this union of them is infinite Nature. “To find the point of union is not the greatest matter; but to develop from, the same its very opposite, this is the real and the deepest secret of the art” It is saying much if we speak of knowing the development of the Idea as a necessity of determinations; we shall see later how Bruno proceeded to do this. He represents the original principle, which is elsewhere known as the form, under the Notion of the minimum, which is at the same time the maximum One, which at the same time is All; the universe is this One in All. In connection with Kant we must here begin by speaking of Jacobi, whose philosophy is contemporaneous with that of Kant; in both of these the advance beyond the preceding period is very evident. The result in the two cases is much the same, although both the starting point and the method of progression are somewhat different. In Jacobi's case the stimulus was given mainly by French philosophy, with which he was very conversant, and also by German metaphysics, while Kant began rather from the English side, that is, from the skepticism of Hume. Jacobi, in that negative attitude which he preserved as well as Kant, kept before him the objective aspect of the method of knowledge, and specially considered it, for he declared knowledge to be in its content incapable of recognizing the Absolute: the truth must be concrete, present, but not finite. Kant does not consider the content, but took the view of knowledge being subjective; and for this reason he declared it to be incapable of recognizing absolute existence. To Kant knowledge is thus a knowledge of phenomena only, not because the categories are merely limited and finite, but because they are subjective. To Jacobi, on the other hand, the chief point is that the categories are not merely subjective, but that they themselves are conditioned. This is an essential difference between the two points of view, even if they both arrive at the same result. Die Architektur ist dann die Kristallisation, die Skulptur die organische Figuration der Materie in ihrer sinnlich-räumlichen Totalität; die Malerei die gefärbte Fläche und Linie; während in der Musik der Raum überhaupt zu dem in sich erfüllten Punkt der Zeit übergeht; bis das äußere Material endlich in der Poesie ganz zur Wertlosigkeit herabgesetzt ist. Architecture is treated as crystallisation; sculpture, as the organic modelling of the material in its sensuous and spatial totality; painting, as the coloured surface and line; while in music, space, as such, passes into the point of time possessed of content within itself, until finally the external medium is in poetry depressed into complete insignificance. Hegel ... destroyed the illusion of the subject’s being-in-itself and showed that the subject is itself an aspect of social objectivity. ... However, ... we must ask this question: is this objectivity which we have shown to be a necessary condition and which subsumes abstract subjectivity in fact the higher factor? Does it not rather remain precisely what Hegel reproached it with being in his youth, namely pure externality, the coercive collective? Does not the retreat to this supposedly higher authority signify the regression of the subject, which had earlier won its freedom only with the greatest efforts, with infinite pains? Hegel's complex thought was brought into focus by power "concentrated in a point," which made new beginnings possible. When political reaction followed Napoleonic innovations and Prussian reform , Hegel sought to convert philosophy into a political weapon. He succeeded in politicizing philosophy; his lectures satisfied the striving toward power and "relevance" that was inherent in the University of Berlin-and in much of modern intellectual life. Hegel expressed, first of all, the supreme self-confidence of the thinking man in the value of his thought. Everything became relative to historical context because his own capacity for seeing the whole picture was assumed to be absolute. Accepting the romantic belief that truth was revealed in the peculiarities of history rather than in a static natural order, Hegel nevertheless simultaneously pressed the Enlightenment idea that all was rational. His method applied reason to precisely those phenomena that most interested the romantic mind : art, philosophy, and religion. He had begun as a student of theology, in search of a theodicy, a justification of the ways of God to man ; he ended up instead creating a new God : the "World Spirit." Just as Hegel saw his chair of philosophy giving overall coherence to the intellectual variety of the new university, so the World Spirit provided a unifying rationale to the historical process. Just as Berlin University was the dynamo for regenerating German society, so Hegel's philosophy was its source of dynamism. 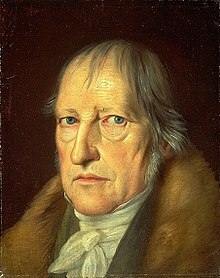 Following Kant, the most significant German philosopher was Georg Wilhelm Friedrich Hegel, whose emphasis on mind and idealism was, if anything, even greater than Kant’s, as his practical influence also may have been during the nineteenth century. Hayek abhorred Hegel, considering his work virtually without value. At the same time, Hegel’s emphasis on mind and idealism indicate the philosophical heritage from which Hayek sprang. Rigorously applied to modern Communist society, Hegel could be quite a problem. Hegel's insania in the dissertation under question seems to be wisdom compared with his later ones. Carl Friedrich Gauss, as quoted in Carl Friedrich Gauss: Titan of Science (2004) by Guy Waldo Dunnington. p. 361. In reference to Hegel's followers. We question whether Hegel himself would have been able to account for the rise of an Hegelian school in America, an event which has transpired in contradiction to the fundamental principles laid down in his history of philosophy. The circumstances of its origin also in a city like St. Louis, from a native German who deigns to publish nothing himself, and whose disciples are with few exceptions outside of academic circles, have often suggested the question whether the movement rested upon any thing deeper than love of paradox, affectation, and sentimentality. Change, according to Hegel, was the rule of life. Every idea irrepressibly bred its opposite and the two merged into a synthesis which in turn produced its own contradiction. The future society is to be the work not of the heart, but of the concrete. Hegel is the new Christ bringing the word of truth to men. Georg W. F. Hegel’s philosophy is another fundamentally Counter-Enlightenment attack on reason and individualism. His philosophy is a partially secularized version of traditional Judeo-Christian cosmology. While Kant’s concerns centered upon epistemology, Hegel’s centered upon metaphysics. For Kant, preserving faith led him to deny reason, while for Hegel preserving the spirit of Judeo-Christian metaphysics led him to be more anti-reason and antiindividualist than Kant ever was. Hegel agreed with Kant that realism and objectivism were dead ends. Kant had transcended them by making the subject prior, but from Hegel’s perspective he had been too wishy-washy in doing so. Kant made the subject responsible only for the phenomenal world of experience, leaving noumenal reality forever closed off to us. This was intolerable to Hegel—after all, the whole point of philosophy is to achieve union with reality, to escape the merely sensuous and finite and to come to know and be one with the supersensuous and infinite. However, Hegel had no intention of trying to solve the epistemological puzzles about perception, concept-formation, and induction that had set Kant’s agenda, in order to show us how we might acquire knowledge of the noumenal. Instead, taking a cue from Johann Fichte, Hegel’s strategy was to assert boldly an identity of subject and object, thus closing the gap metaphysically. Historically, when philosophy runs up against science, philosophy loses. Think of the bishops who refused to look through Galileo's telescope. Or Hegel's proving by logic that there can be no more than seven planets. Frau Edouard Devrient: "Do tell me, who is the stupid fellow sitting next to me?" Felix Mendelssohn (behind his napkin): "The stupid fellow next to you is the philosopher Hegel." Paul Johnson, in The Birth of the Modern (1991), pp. 817-818. The question would then turn on the significance of Hegel’s Phaenomenologie for the System: whether it is an Introduction, whether it remains outside the System, and if it is an Introduction, whether it is again incorporated within the System; furthermore, whether Hegel does not have to his credit the astonishing achievement of not only having written the System, but of having written two, eye, three Systems, which must always require a matchless systematic talent, but which nevertheless seems be the case, since the System is finished more than once. Situation: that Hegel in punishment for his attack upon the religious would have to deliver an upbuilding discourse. The second important characteristic of this utopia [as posited by Marxists] was the belief that the glorious future is not simply predetermined by the course of history hitherto, but that the future was already there, not empirically noticeable and yet more real than the empirical present about to crumble. This belief in a “higher” reality which, albeit invisible, was already embedded in the actual world could be traced back, to be sure, to its Hegelian sources; more exactly, it was an extension into the future-illegitimate in strictly Hegelian terms-of the Hegelian way of investigating the past. This enviable ability to detect in what appears to be something that appears not to be but that in fact is in a more eminent sense than what is “merely” empirical was itself in Hegel a secularized version of the Christian concept of salvation which, though not perceptible directly, is not just inscribed in God’s plan but has already occurred, since in the divine timelessness whatever is going to happen did happen. It justifies the illimited self-righteousness of those who not only are capable of predicting the future but in fact are already its blessed owners, and it gives them the right to treat the actual world as essentially non-existent. Hegel... scornfully characterizes Empiricism as seeking truth in Experience instead of in Thought. It is on such principles that the modern German Philosophy has reproduced the ambitious but inane attempts of Scholasticism. Goethe made German literature into world literature, and Hegel made German philosophy into world philosophy. While scientists were performing astounding feats of disciplined reason [during the Enlightenment], breaking down the barriers of the “unknowable” in every field of knowledge, charting the course of light rays in space or the course of blood in the capillaries of man’s body -- what philosophy was offering them, as interpretation of and guidance for their achievements was the plain Witchdoctory of Hegel, who proclaimed that matter does not exist at all, that everything is Idea (not somebody’s idea, just Idea), and that this Idea operates by the dialectical process of a new “super-logic” which proves that contradictions are the law of reality, that A is non-A, and that omniscience about the physical universe (including electricity, gravitation, the solar system, etc.) is to be derived, not from the observation of facts, but from the contemplation of that Idea’s triple somersaults inside his, Hegel’s, mind. This was offered as a philosophy of reason. Hegel's philosophy is so odd that one would not have expected him to be able to get sane men to accept it, but he did. He set it out with so much obscurity that people thought it must be profound. It can quite easily be expounded lucidly in words of one syllable, but then its absurdity becomes obvious. When I was young, most teachers of philosophy in British and American universities were Hegelians, so that, until I read Hegel, I supposed there must be some truth to his system; I was cured, however, by discovering that everything he said on the philosophy of mathematics was plain nonsense. Hegel published his proof that there must be exactly seven planets just a week before the discovery of the eighth. The matter was hushed up, and a new, revised edition was hastily prepared; nevertheless, there were some who scoffed. My reason for rejecting Hegel and monism in general is my belief that the dialectical argument against relations is wholly unsound. I think such a statement as 'A is west of B' can be exactly true. You will find that Bradley's arguments on this subject pre-suppose that every proposition must be of the subject-predicate form. I think this the fundamental error of monism. The absolute moment may be the absolute moment simply or the absolute moment of all previous history. That it is the absolute moment simply had been the contention of Hegel. His system of philosophy, the final philosophy, the perfect solution of all philosophic problems belongs to the moment when mankind has solved in principle its political problem by establishing the post-revolutionary state, the first state to recognize the equal dignity of every human being as such. This absolute peak of history, being the end of history, is at the same time the beginning of the final decline. In this respect Spengler has merely brought out the ultimate conclusion of Hegel's thought. Let us state that the term "philosophy of history" may be applied to Hegel's speculation only with reservations. For Hegel's history is not to be found in reality, and the reality of history is not in Hegel. The harmony between construct and history could be achieved [by Hegel] only though the omission of an essential factor of reality. The factor Hegel excludes is the mystery of a history that wends its way into the future without our knowing its end. History as a whole is not necessarily an object of cognition; the meaning of the whole is not discernible. Hegel can construct, then, a meaningfully self-contained project of history only by assuming that the revelation of God in history is fully comprehensible. The appearance of Christ for him [for Hegel] the crux of world history; in this decisive epoch God had revealed the Logos -- reason -- in history. But the revalation was incomplete, and Hegel considered it man's duty to comlete the incomplete revalation by raising the Logos to complete clarity in consciousness. This elevation to consciousness is in fact possible through the mind of the philosopher -- concretely, through the mind of Hegel: in the medium of the Hegelian dialectic the revelation of God in history reaches its fulfillment. The validity of the construct depends on the assumption that the mystery of revelation and of the course of history can be solved and made fully transparent through the dialectical unfolding of the Logos. We have here a construct closely related to that of Joachim of Flora. Joachim, too, was dissatisfied with the Augustinian waiting fo the end; he, too, wanted to have an intelligible meaning in history here and now; and in order to make the meaning intelligible, he had to set himself up as the prophet to whom this meaning was clear. In the same manner, Hegel identifies his human logos with the Logos that is Christ, in order make the meaningful process of history fully comprehensible. Hegel experiences his state of alienation as an acute loss of reality, and even as death. But he cannot, or will not, initiate the movement of return; the epistrophe, the periagoge, is impossible. The despair or lostness, then, turns into the mood of revolt. Hegel closes his existence in on himself; he develops a false self; and lets his false self engage in an act of self-salvation that is meant to substitute for the periagoge of which his true self proves incapable. The alienation which, as long as it remains a state of lostness in open existence, can be healed through the return [to God], now hardens into the acheronta movebo of the sorcerer who, through magic operations, forces salvation from the non-reality of his lostness. Since, however, nonreality has no power of salvation, and Hegel’s true self knows this quite well, the false self must take the next step and, by ‘the energy of thinking,’ transform the reality of God into the dialectics of his consciousness: the divine power accrues to the Subjeckt that is engaged in self-salvation through reaching the state of reflective self-consciousness. If the soul cannot return to God, God must be alienated from himself and drawn into the human state of alienation. And finally, since none of these operations in Second Reality would change anything in the surrounding First Reality, but result only in the isolation of the sorcerer from the rest of society, the whole world must be drawn into the imaginary Second Reality. The sorcerer becomes the savior of the ‘age’ by imposing his System of Science as the new revelation on mankind at large. All mankind must join the sorcerer in the hell of his damnation. Eric Voegelin (1972). "On Hegel: A Study in Sorcery," reprinted in Voegelin's Collected Works, Vol. 12, 1990. Hegel is explicit on the point that through his conceptual speculation one achieves a salvation that has not been delivered through Christ, or has been delivered only in an imperfect form and now will be delivered in perfect form by Hegel. When you go through his meditative exercise you are in the state of salvation and beyond being mere man. Eric Voegelin. The Collected Works of Eric Voegelin, Vol. 33., William Petropulous and Gilbert Weiss, editors. pp. 252-253. Hegel expressed his formulation that the purpose of Phenomenology is to find the magic words with which you can conjure up the shape of the future. He was, consummately, a sorcerer. [...] it is quite consciously a magic act by which reality is transmogrified into the perfect reality. Hegel by HyperText, reference archive at Marxists.org. This page was last edited on 16 April 2019, at 09:00.